Automotive coating formulators demand some of the most stringent color performance requirements and are constantly pushing for higher jetness and bluer undertone. We work with world leaders in automotive coatings to provide carbon black products for both water-based and solvent-based systems that deliver exceptional color performance. As a global leader in the specialty chemical industry, we provide high color carbon black for deep masstone jetness and reliable tinting performance in automotive basecoat applications. 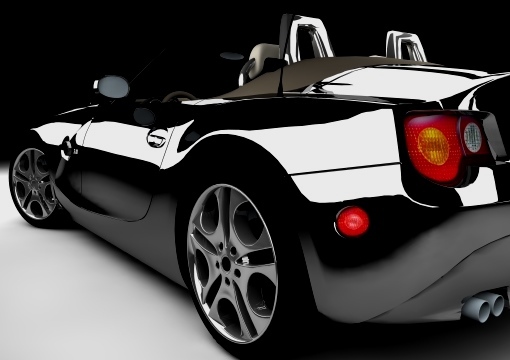 We also offer a variety of fumed silica products to enhance the rheological and mechanical properties of automotive coatings. Our MONARCH® high color carbon blacks are selected by customers across the globe for their superb color performance. Additionally, our EMPEROR® treated carbon blacks provide exceptional color performance while alleviating the traditional ease-of-use tradeoff that is often associated with high color carbon blacks. In addition to our carbon black portfolio, we offer a wide range of CAB-O-SIL® fumed silica products that help formulators achieve anti-settling performance, tailor rheological properties, and improve scratch resistance and clarity. Achieve deep black color with easy-to-disperse pigments. Our EMPEROR 1600 and EMPEROR 1200 carbon blacks feature Softbead™ technology.